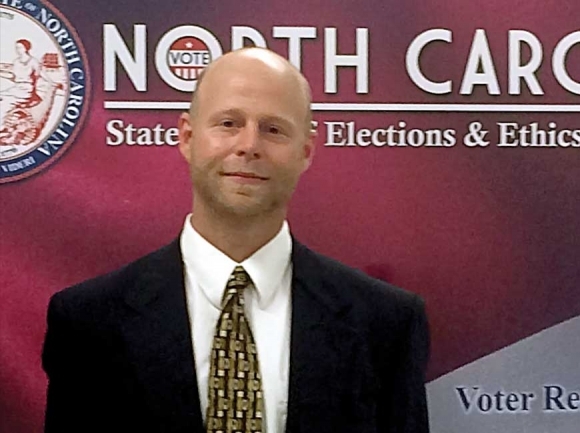 For the first time in a decade, citizens in much of Western North Carolina will have the chance to vote for a Libertarian congressional candidate in the November General Election. The impressive tally of Libertarian candidates across the state this year speaks to the growth of the party, even resulting in the rare phenomenon of a contested Libertarian Party primary in the state’s 4th Congressional District. That growth has inspired Sylva Libertarian Clifton Ingram to join three Democrats and one Republican in trying to unseat three-term incumbent and Asheville Republican Rep. Mark Meadows; Ingram knows he’s facing an uphill battle, but insists he’s not just here to make a political point — he’s here to win. Founded in 1971 in the Colorado home of political scientist David F. Nolan, the Libertarian Party emerged during a time of great disillusionment over seemingly ceaseless American military campaigning and some unorthodox economic decisions by then-President Richard M. Nixon.